Clay is so much fun! The sculpting with tools and the creation of objects adults would never think of, WOW these kids had fun. Before we begin the pinch pots, animal sculptures and the pancake imprints, you must know the difference between clay and play dough. Clay is more permanent then play dough, it is meant to be fired in a kiln for durability and permanency or in this case set up to dry slowly. 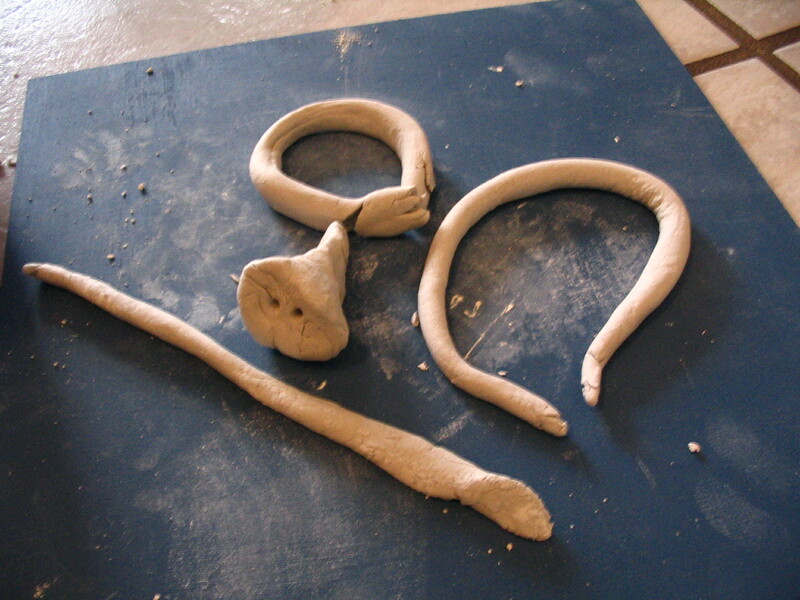 Clay can be glazed or painted after it has dried. Where as play dough can be made in a home kitchen and colour can be added to the ingredient. 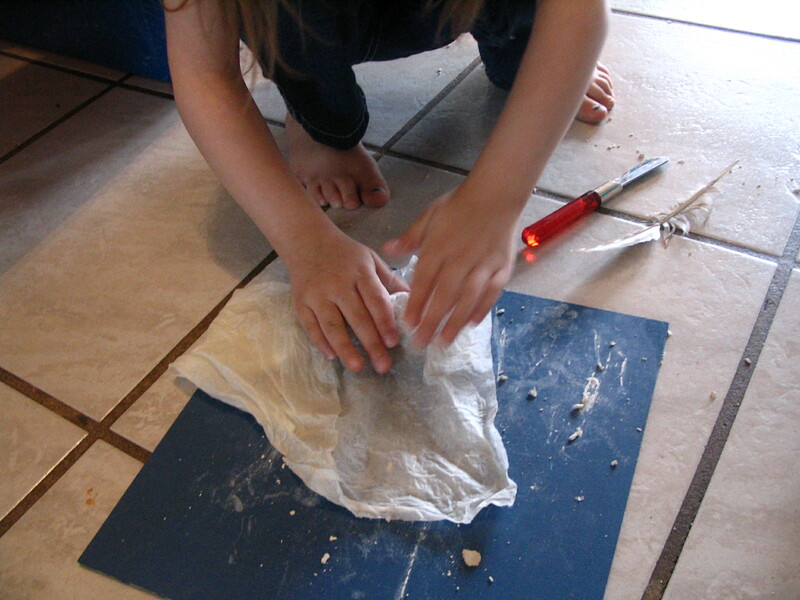 You can reuse play dough over and over as long as you store it in an air tight bag. Canvas boards or corrugated plastic sheets are great for defining personal work space. Tools can almost be anything that slices, dents and shapes the clay. 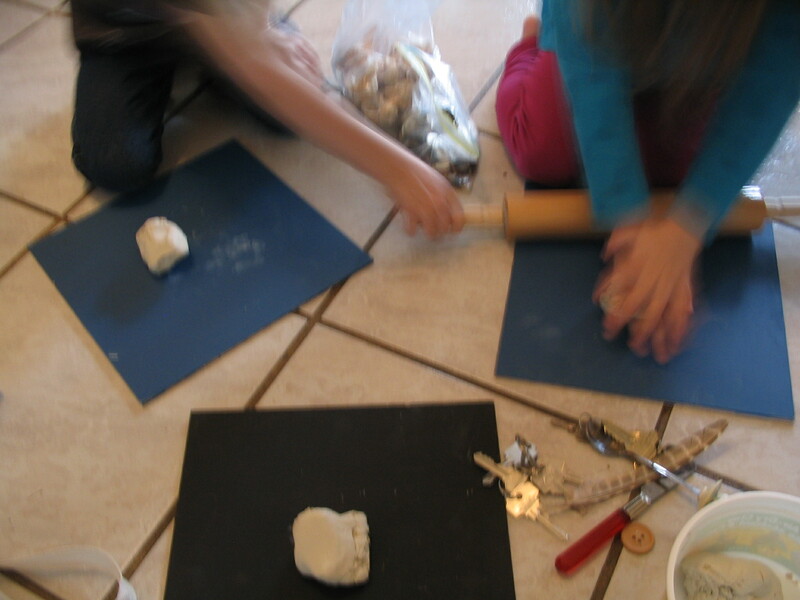 In this lesson keys and buttons made nice imprints onto the pancake clay. 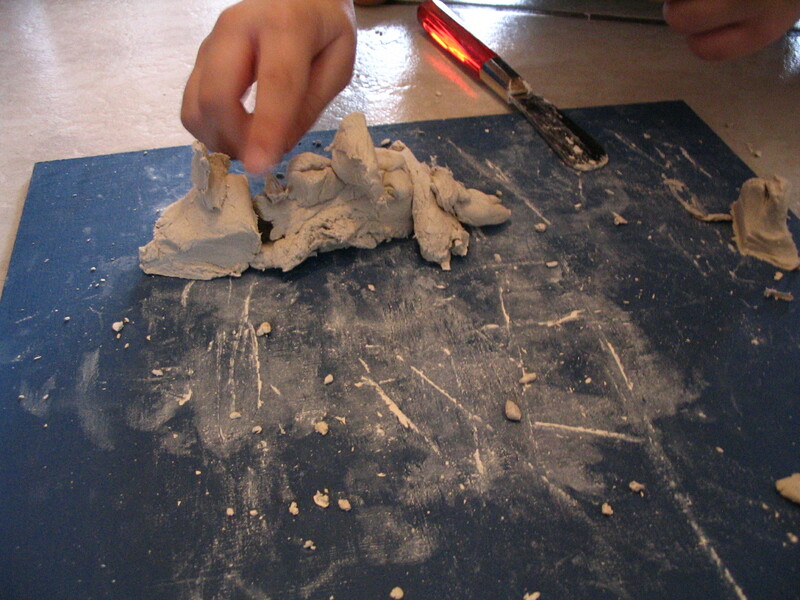 Build with clay by using a tooth-brush and water to attach small pieces onto one another. This project will tell you a little about each artist as some like to build others like to form the clay in their hands, and even others prefer to leave objects in or on the clay. Now onto the pinch pots. 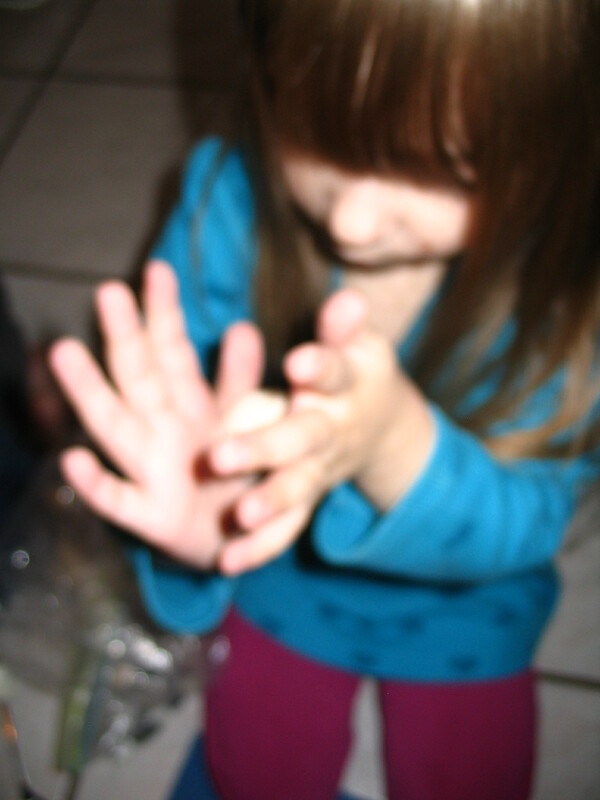 This is great for kids that are able to roll the clay in their hands to make a ball. 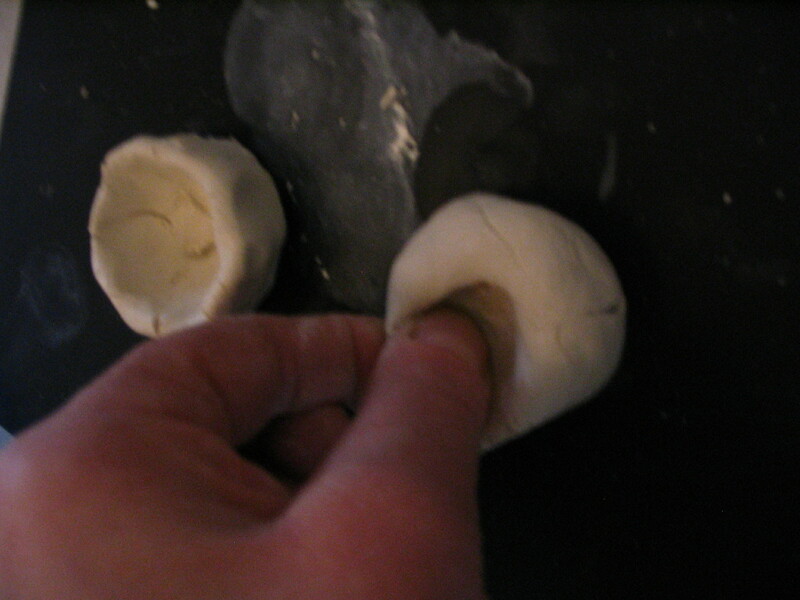 If this action is too difficult move the clay from one hand to the next, it will eventually round itself out. Then stick your thumb into the centre of the ball and start to pinch. That’s just the beginning. 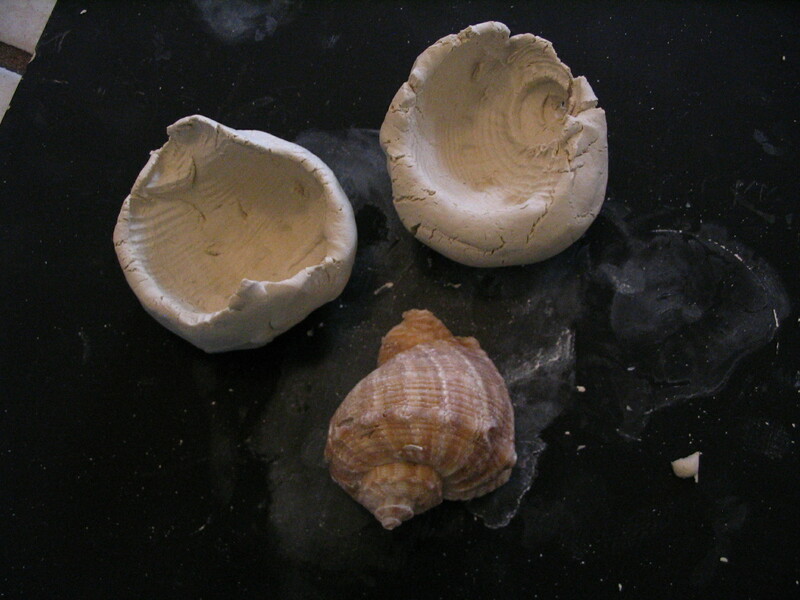 Look what happens if we place a sea shell into the pot and make an imprint. Beautiful visual and tactile textures associated with a shell. Great conversation piece. Worms and globs are very interesting. This is when the kids have gone off into their own creations, great work. Remind the children that clay must dry slowly to prevent cracking or crumbling, and have each child put a wet paper towel over their clay. Then store it in a plastic bag, slowly remove plastic, then cloth over the next few days. For next class; prepare to paint the clay by making sure you have tiny brushes and small amounts of paint in tiny containers so that the small sculptures aren’t over done with one colour. 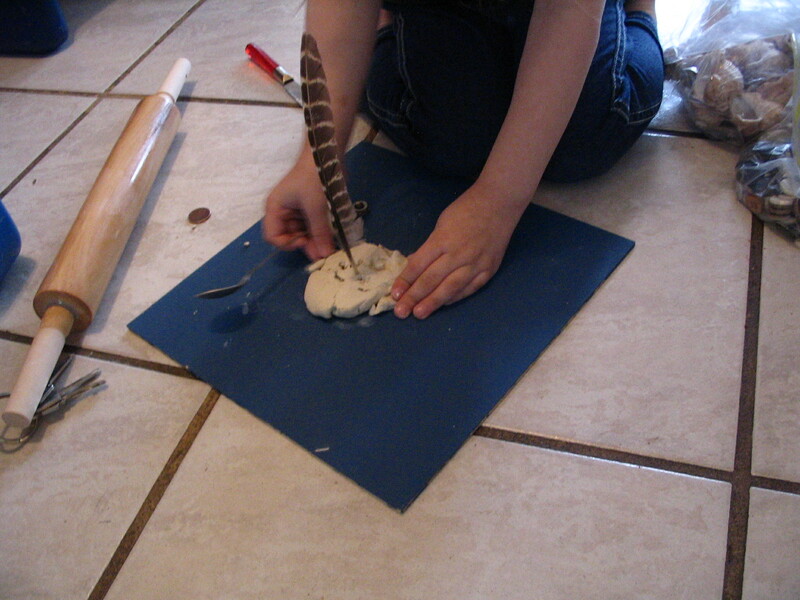 This entry was posted in Art Education for Preschool and tagged art, Clay, craft, Sculpture. Bookmark the permalink.